Milk is a very important content of the human diet. The present study was performed to determine the concentrations of trace and toxic trace elements in 21 different milk samples in Turkish supermarkets. We aimed to evaluate the potential health risks of toxic elements to humans through ingestion. The concentrations of 19 elements lithium (Li), beryllium (Be), chromium (Cr), manganese (Mn), cobalt (Co), nickel (Ni), copper (Cu), arsenic (As), selenium (Se), strontium (Sr), molybdenum (Mo), cadmium (Cd), antimony (Sb), barium (Ba), lead (Pb), bismuth (Bi), mercury (Hg), thallium (Tl), and uranium (U) in milk samples were determined by using inductively coupled plasma-mass spectrometry (ICP-MS). The accuracy and precision of the method were verified by experiments. Nutritional trace elements were found to be below their reference intake levels. Although we found wide variation between the toxic element levels in the samples, none of the concentrations reached a health-threatening level. 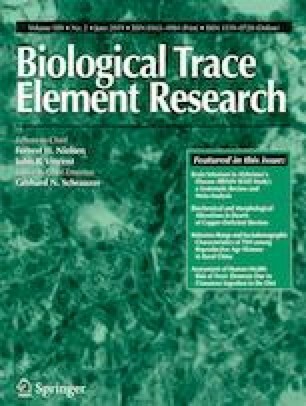 This is the first study presenting a wide range of elements including the toxic ones in a different variety of milk samples sold throughout the Turkish supermarkets. The author would like to thank Dr. Selda Mercan for laboratory analysis and Dr. F. Sinem Hocaoglu-Emre for evaluating the data and checking the manuscript. This study did not receive any specific grant or support from funding agencies in the public, commercial, or not-for-profit sectors.